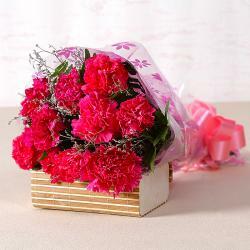 Product Consist : Bouquet of 6 Pink Roses with lots of green fillers. 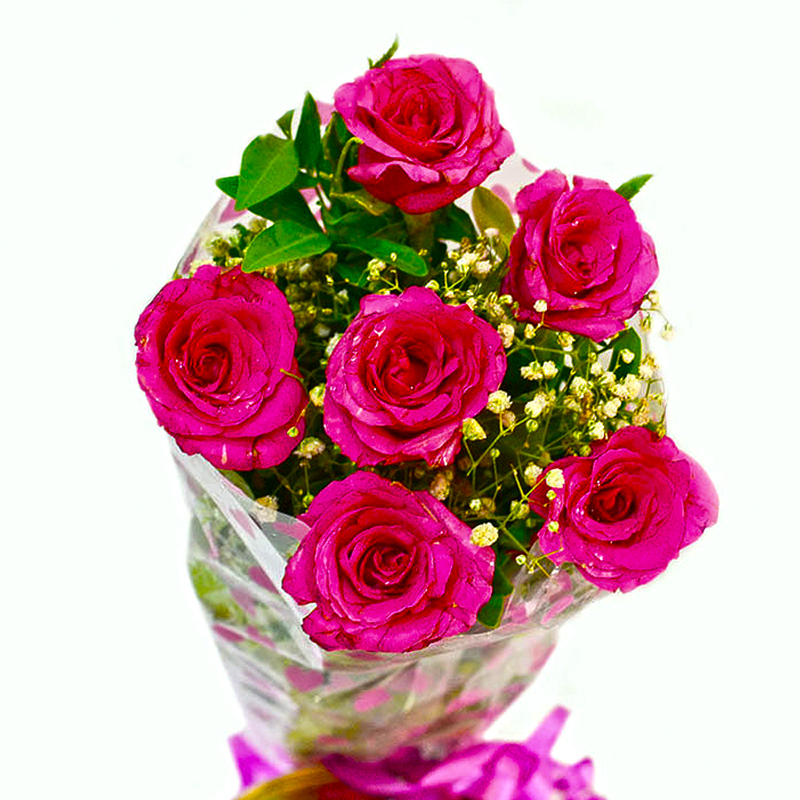 No matter what the event is, you can light it up for someone with this unique bunch of six pink roses that makes for a really pretty bouquet. 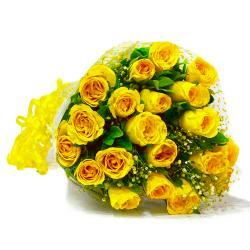 It is also suitable for all age groups and a variety of occasions Missing You, Ganesh Chaturthi, Boss Day. Besides, the cellophane wrapping lends a special touch to it. 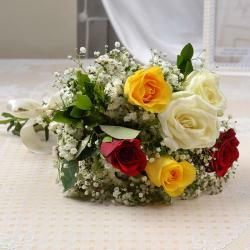 This is perfect for birthdays and anniversaries to say the least. 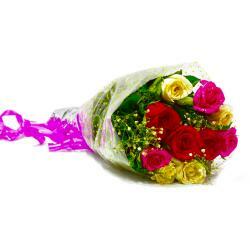 Product contains : Bouquet of 6 Pink Roses with lots of green fillers.